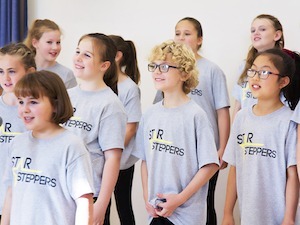 Caterham Star Steppers is one of our most popular classes and sees children from ages 3 to 13 join us each Thursday. Hannah grew up in Caterham so it has always been a town is close to the hearts of Star Steppers. Through dance, drama and singing, we cover a range of styles including street dance, musical theatre, jazz, improvisation, script work, solo singing as well as singing in groups and in harmony. This fun creative class is designed to keep you fit, increase confidence and make you smile! Our Caterham classes run for either an hour or an hour and a half depending on the age of the child. Those joining us in Step 1 (ages 3-5) enjoy an action-packed hour of exhilarating dance, drama, singing and games whilst the slightly older children of Step 2 (ages 5-8) and Step 3 (ages 9 and older) experience an hour and a half of a wide-variety of theatre disciplines from the latest pop songs to musical theatre. Themes in recent terms have included, Shakespeare, The Greatest Showman, Frozen, Mary Poppins and Princess and The Frog. Want to Try our Caterham Class for Free? Star Steppers is the highlight of Cian's week, it has really boosted his confidence and enhanced his love for the arts. He definitely sees being on stage as part of his future thanks to the opportunities Star Steppers has given him to perform in theatres. You all do a very special and wonderful job. I wish this opportunity was around when I was young for sure. Star Steppers is so much fun and the teachers are really, really nice. I love Star Steppers because I get to perform on stage. What age is the class suitable for? 16.00 pm class – Combination of dance singing and drama. 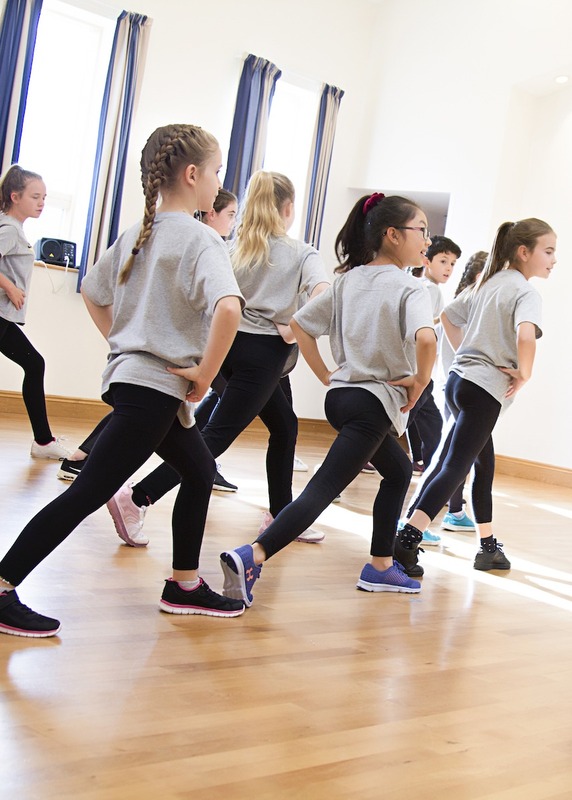 17.00 pm class – Students rotate around for 25mins of each discipline (dance, singing and drama) Covering Street Dance, Musical Theatre and Pop Styles. The class takes place in Soper Hall, which is right next-door to Morrisons car park in Caterham, it is free to park here for up to three hours and just a short walk away. Unfortunately there isn’t anywhere inside Soper Hall where parents can wait while the class is on but Morrisons is nearby, so some parents spend the time doing the food shop! There are a couple of nice parks nearby (one near the Police Station in the valley and Queens Park at Caterham-on-the-Hill. Can parents stay and watch the class? For the first-week parents are encouraged to watch the class, however, we feel the children thrive in a more focused environment, without an audience each week. This also means that our open weeks and shows to be more of a surprise for parents. Where do the Caterham Star Steppers members attend school? There are children from all different schools attending, including Caterham School, St John’s Junior School, Whyteleafe Primary, The Hayes Primary, Keston Primary, Merstham Primary, Hamsey Green Primary and Beaumont Primary. Many of our older students attend St Bede’s, de Stafford, Riddlesdown, Woodcote and Oxted schools. We ask everyone to wear leggings or joggers with a t-shirt or vest and jazz shoes, trainers or plimsoles on their feet. The Star Steppers t-shirts are £10.00, and we ask our members to wear them for shows and public performances. Fees are paid in half-termly blocks of 6-7 weeks approx. We send out invoices via e-mail and parents pay (preferably) online by BACS or we also accept cash or cheque. We create new schemes of work each term to ensure that students are refreshed and energised in their time with Star Steppers. We cover all three musical theatre disciplines allowing children the opportunity to experience dancing, acting and singing. Who teaches the Caterham Classes? They are taught by Hannah and Laura with the class doing half of it with each before moving onto the other teacher for the second half. Does our Caterham Class sound like fun?